Chicagoans are proud of the city’s status as the City of Big Shoulders. But the city also has a sweet heart. Fannie May chocolates, a familiar sight to most Chicagoans. An upcoming lecture series at the Chicago History Museum will look at Chicago's role in candy history. 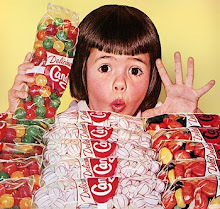 Sweet Home Chicago lectures are at 7 p.m. Feb. 4 (“A Sweet Kinda Town”), 7 p.m. Feb. 9 (“Classic Candy”) and 7 p.m. Feb. 16 (“Tasty Treats Today”) at the Chicago History Museum, 1601 N. Clark. The cost for each lecture is $10 ($8 for museum members). The Feb. 6 bus tour is from 1 to 5 p.m. Tickets are $45 ($40 for museum members). You can buy tickets atchicagohistory.org or by calling the museum at (312) 642-4600. Chicago is the birthplace of Fannie May, Jelly Belly (a.k.a. Goelitz) and the sweet-smelling Blommer’s Chocolate Factory. 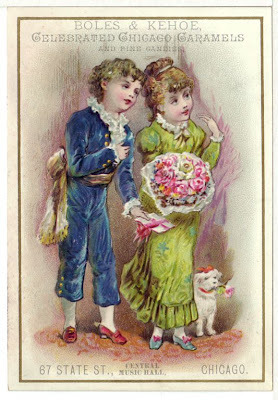 In 1893, William Wrigley Jr. rolled out Juicy Fruit and Wrigley’s Spearmint Chewing Gum. Some cities name their majestic baseball stadiums after beer barons. Chicago’s most famous ballpark is named after a gummy confectioner. In 1965, the Beatles stopped in for some Atomic Busters at Margie’s Candies, 1960 N. Western. Money can’t buy you love, but it can buy you candy at Margie’s (at the same location since 1921). Much of this history will be covered in depth at Sweet Home Chicago, a month-long series beginning Feb. 4 at the Chicago History Museum. 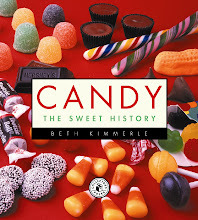 The opening night lecture, “A Sweet Kinda Town,” will be delivered by Beth Kimmerle, an Evanston native and author of Candy: The Sweet History (Collectors Press, 2003) andChocolate: The Sweet History(Collectors Press, 2005). 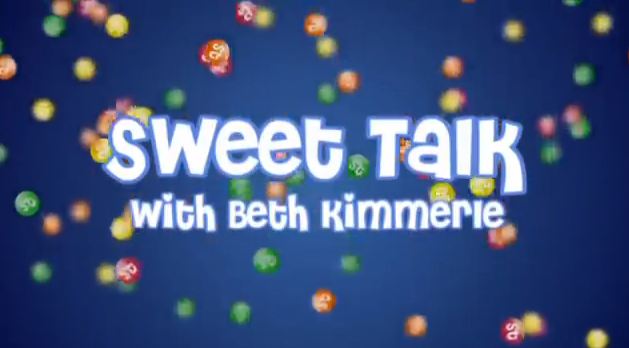 Kimmerle, 40, will talk about Chicago’s legacy as the one-time largest producer of candy in the United States. At 1 p.m. on Feb. 6, Kimmerle will lead a Willy Wonka-ized bus tour of Chicago’s sweetest spots, with stops at Fannie May, Blommer, a VIP tour of the Wrigley Building and Vosges Haut-Chocolat, 951 W. Armitage. Tastings will be served at each spot. Chicago was the perfect storm for sweets. “The Chicago Fire [of 1871] gave the city an opportunity to reinvent itself,” says Kimmerle, who was a marketing rep for Fannie May in the mid-1990s. “The rail lines and waterways made Chicago an ideal location. And immigrants were from so many different places. They all had fantastic recipes to make unique things, unlike Milwaukee, which would be predominantly German. Chicago was home for Italians, Greeks, you name it. Juicy Fruit and the hamburger also made their American debut at the exposition. 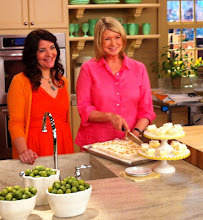 “By the late 1800s, a national confectioners organization started calling Chicago ‘America’s Sweetest Spot,’ ” she says. Kimmerle is conscientious about her confectionary pursuits. She is director of the American Museum of Candy being planned for a 2011 opening in Somerset, N.J.
Kimmerle fell in love with the candy business while working at Fannie May. “The factory was next to the offices,” she recalls. 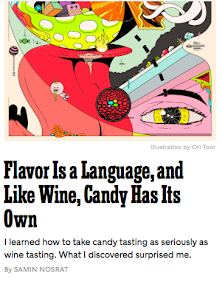 “I could see Joe Labello making our candy in the hard-candy room the way he had done 50 years earlier. 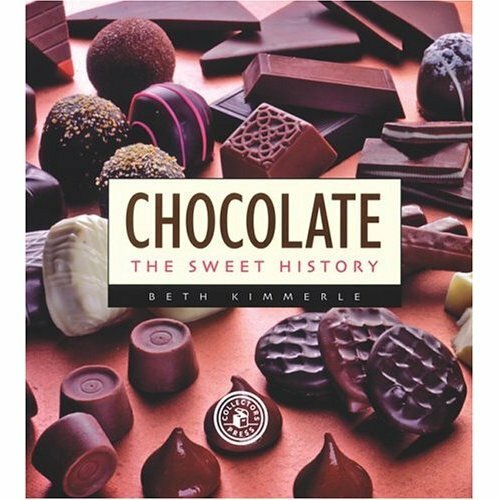 Kimmerle has just finished her latest book, Blommer: An American Chocolate Legacy, about the largest cocoa processor in North America. The book will be out in the spring and will be available at the Blommer gift shop, 600 W. Kinzie. Candy seems recession-proof. Last week, the British candy company Cadbury accepted a $19.5 billion takeover bid from Kraft Foods Inc. to form the world’s biggest candy company. John Cadbury founded the company in 1824 in Birmingham, England. He was a Quaker who believed drinking chocolate was better than drinking alcohol. The Kraft-Cadbury double-decker will feature more than 40 confectionary brands. What is Kimmerle’s favorite candy? No. Reese’s Peanut Butter Cups (est. 1928) rank high on my list.